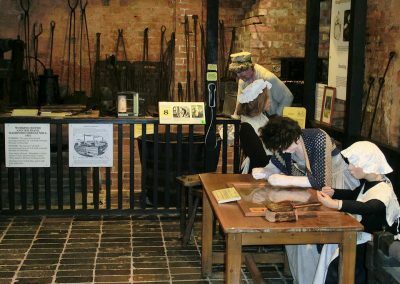 The museum tells the fascinating and sometimes gruesome story of needle making in Victorian times. 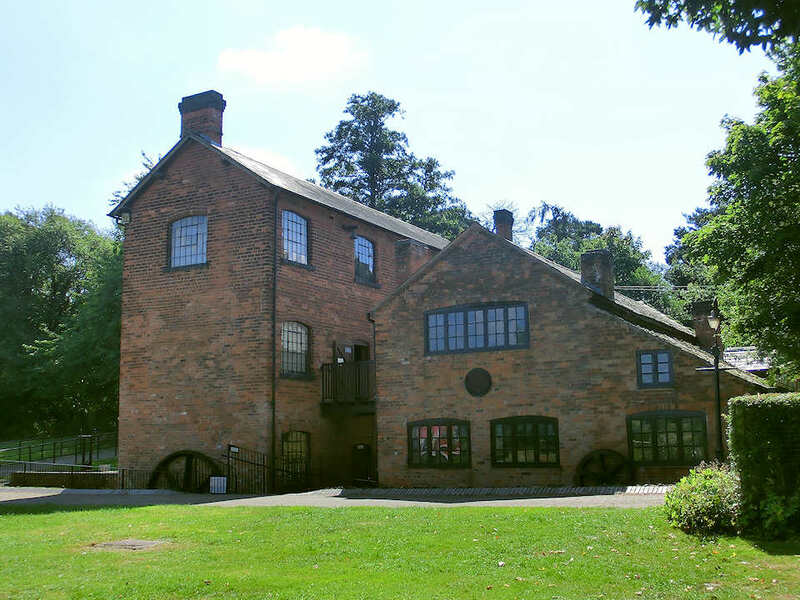 The Mill is a listed building which houses original water powered machinery. Models and recreated scenes and an audio trail provide a vivid illustration of how needles were once made, and how Redditch came to dominate the world needle trade. You can also step back in time and experience the largely unchanged atmosphere of an original scouring (polishing) mill. 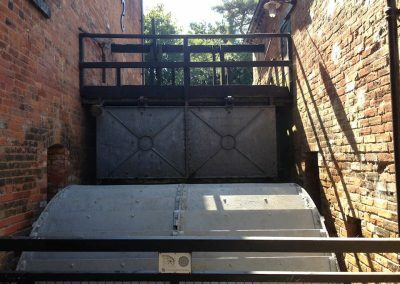 Much of the original Victorian water powered machinery remains and is working on Tuesday afternoons and on weekends, and also for schools and group visits – barring mechanical problems! 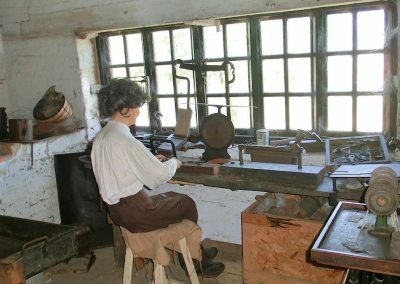 It is unique in that it is the only water powered scouring mill left in the world. 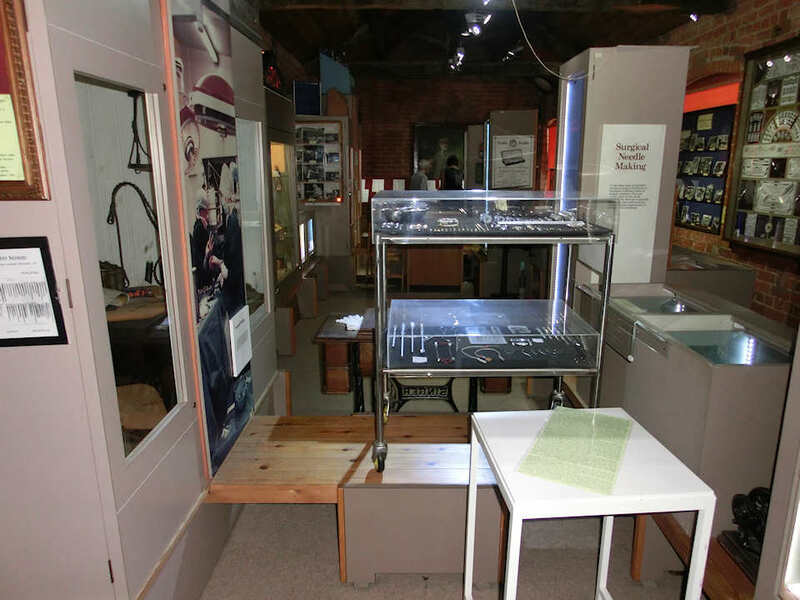 The middle floor is used as the temporary exhibition space for our varied exhibition programme. The top floor holds an extensive and unique collection of needle related items. 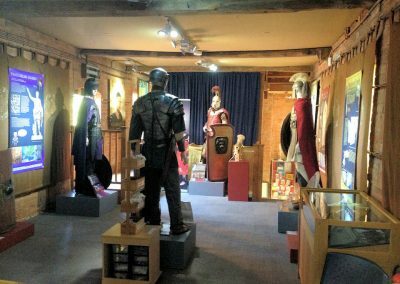 You will see some of the more unusual needles and their uses and also some very rare and beautiful needle and fish hook displays which were made for the exhibitions of 1924. We have a very interesting collection of needle cases produced by the Redditch needle companies. 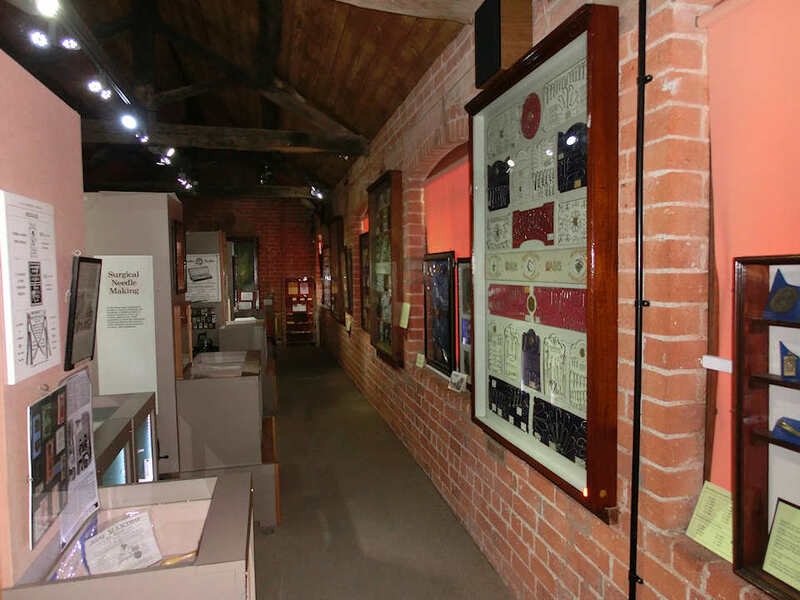 The museum also exhibits a wonderful collection of photographs relating to the needle industry. 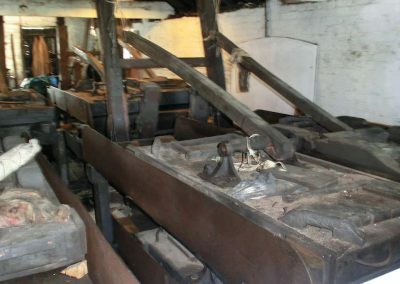 A birds-eye view of the fascinating Forge Mill Needle Museum. With grateful thanks to (c) John James Photographer/Videographer. 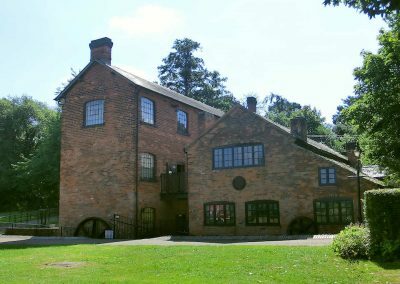 The two buildings that make up the Mill. 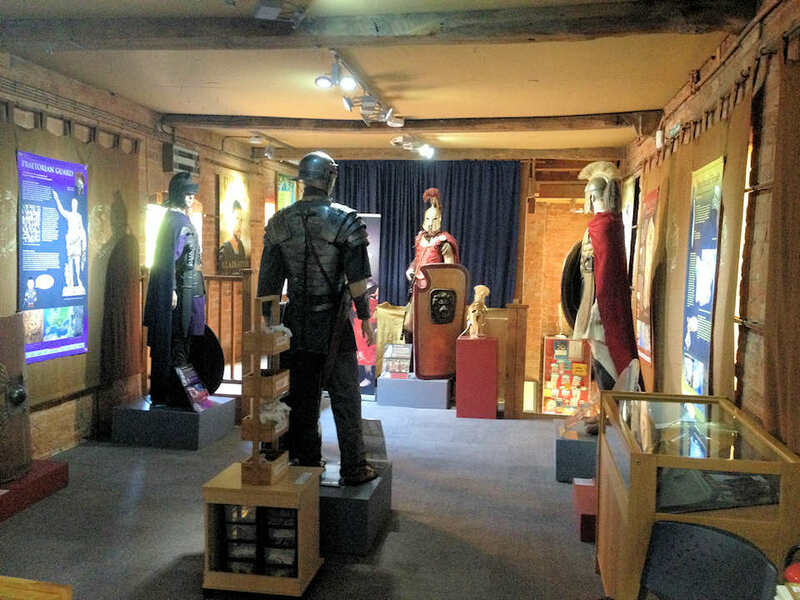 The middle floor of the Mill is used for our Exhibitions. 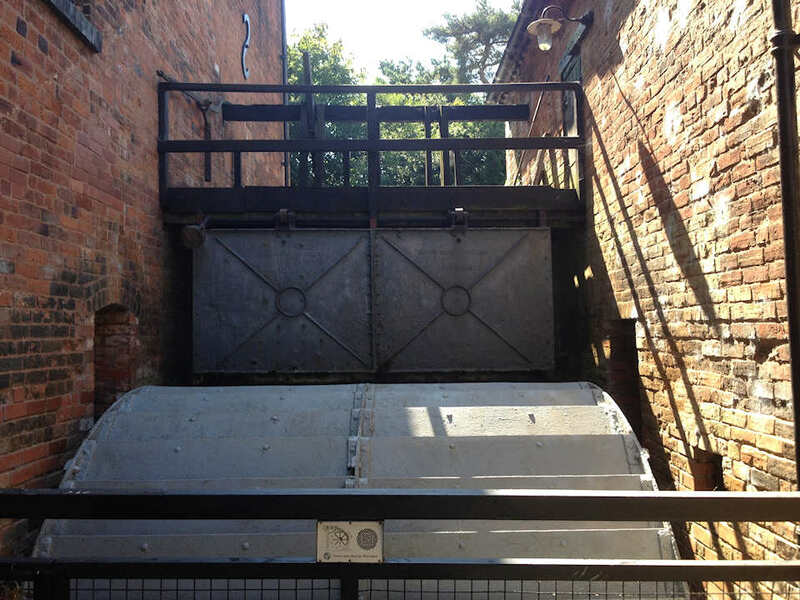 The working water wheel that powers the Mill. 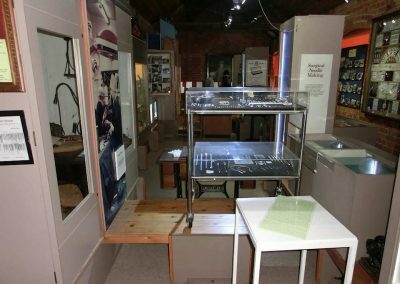 Various exhibits in the old Scouring (polishing) Mill. 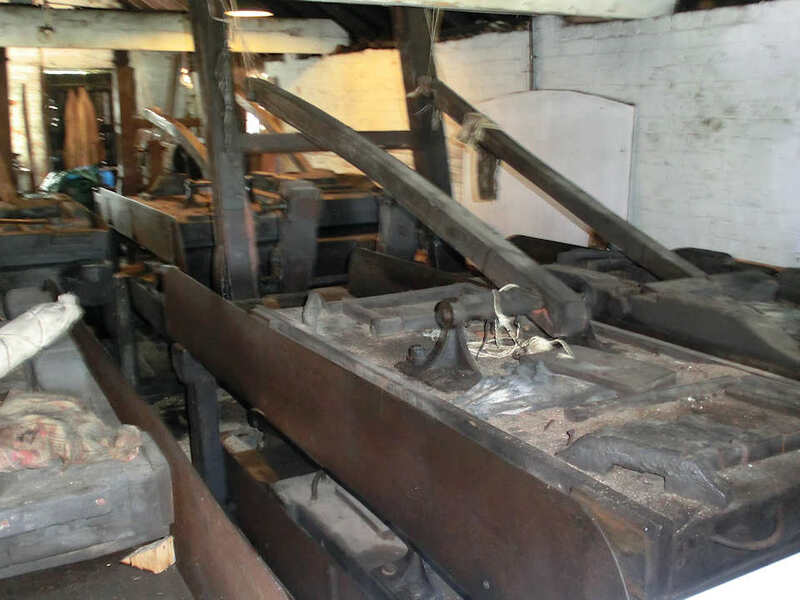 Part of the original Victorian scouring machinery. 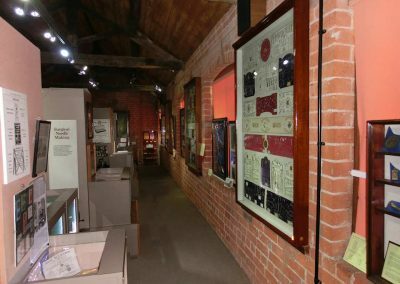 More exhibits on the lower floor of the Mill building. An extensive collection of needle related items on the top floor of the Mill building. More needle and fishing hook displays on the top floor of the Mill.